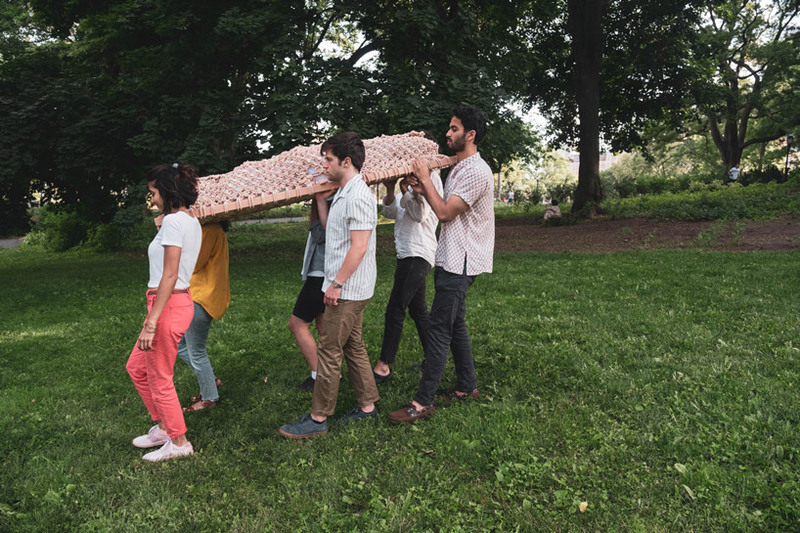 soon after shaina garfield realised her vision for an eco-friendly coffin, she noticed that what she had actually made was a coffin for herself. after being diagnosed with chronic lyme disease four years ago, the prospect of death caused a preoccupation that would eventually inspire her work as an industrial designer. as she tackled the prospect of dying, she discovered an interesting contradiction between something that essentially brings people closer to earth, and the harmful impact death practices have on the planet. after a closer look, traditional burials, embalming and cremation, all involved the pollution of nasty chemicals and toxins. speaking at design indaba 2019 shaina notes that we’ve become so far removed from nature as a result of human exceptionalism – the belief that humans are the most important entities in the universe. 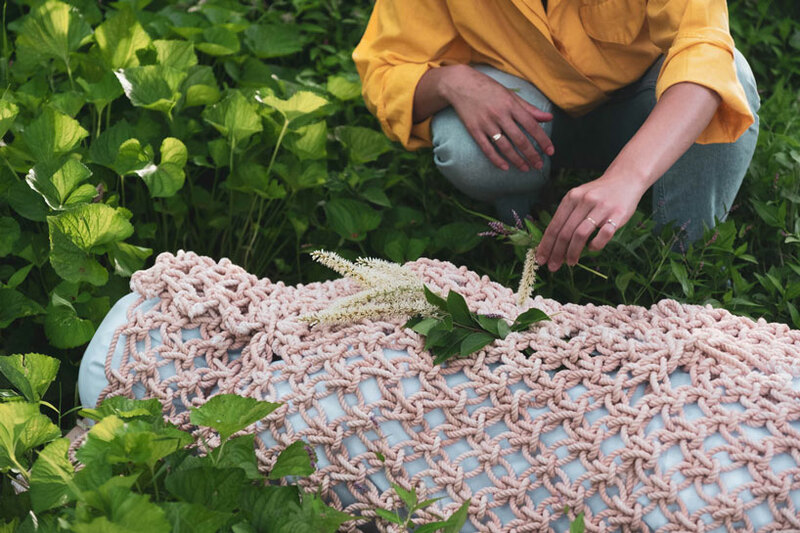 so she came up with ‘LEAVES’, a textile coffin built from sustainable materials, that hopes to bring us closer to the planet that we live on. 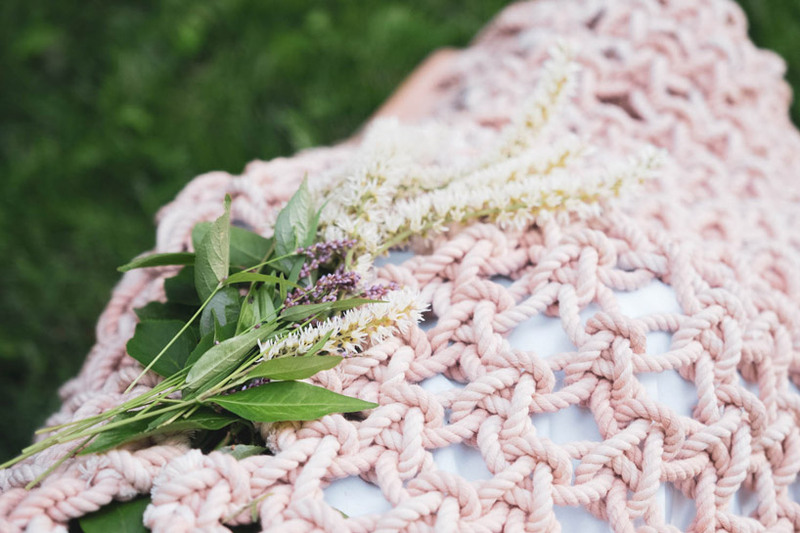 composed of a netting that wraps around the deceased, LEAVES works to make the burial process a much greener ritual. 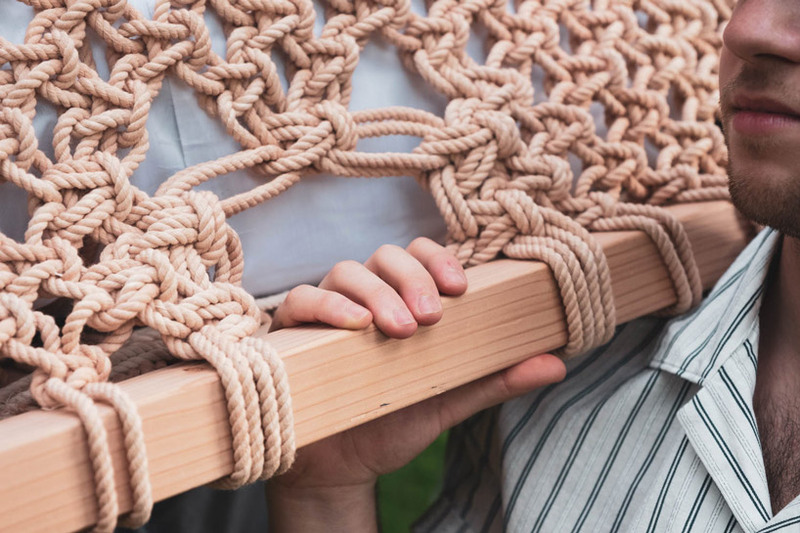 the design uses rope which has been treated with a dye and embedded with spores, encouraging fungus growth that speeds up decomposition,and eats any toxins in the body. a tree is then planted on the burial site, making the most of this nutrient rich soil. 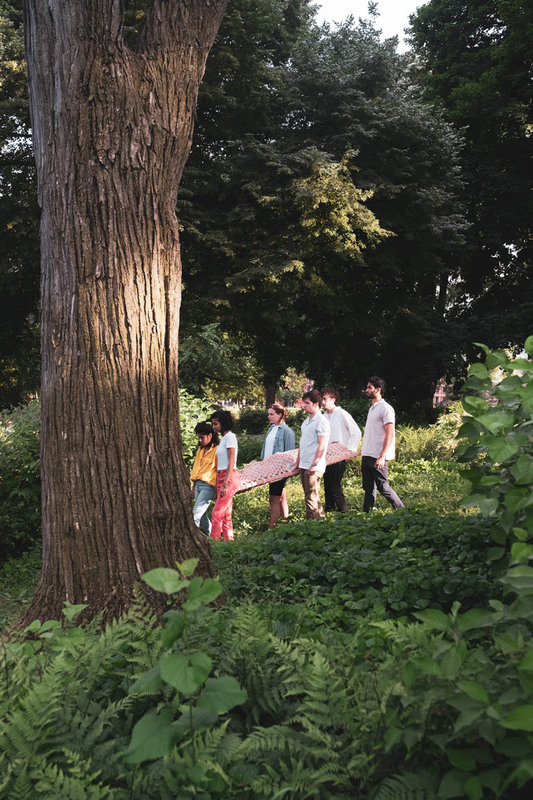 instead of cemeteries, shaina imagines luscious areas where nature is representative of the greater purpose our bodies can have. as much as it lessons the impact humans make on the planet, LEAVES also promotes positive discussions around death. 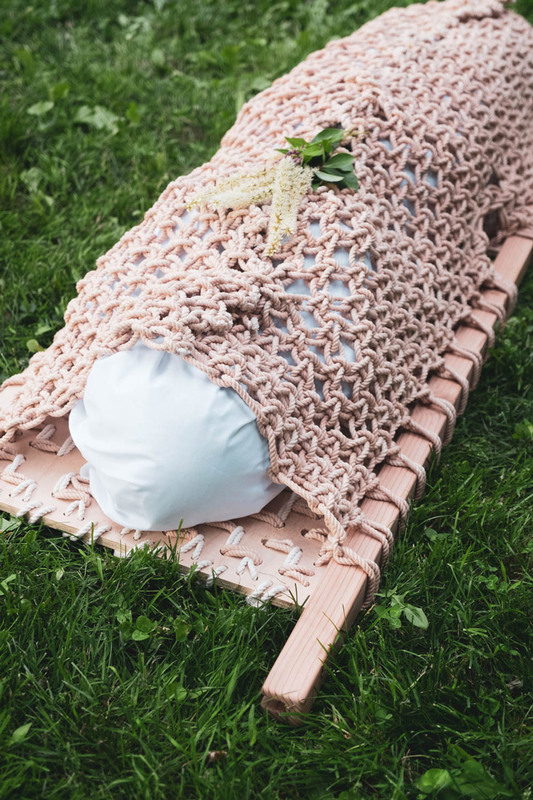 drawing from funeral practices around the world, shaina considered ways in which her designs could help to support people with their grief. 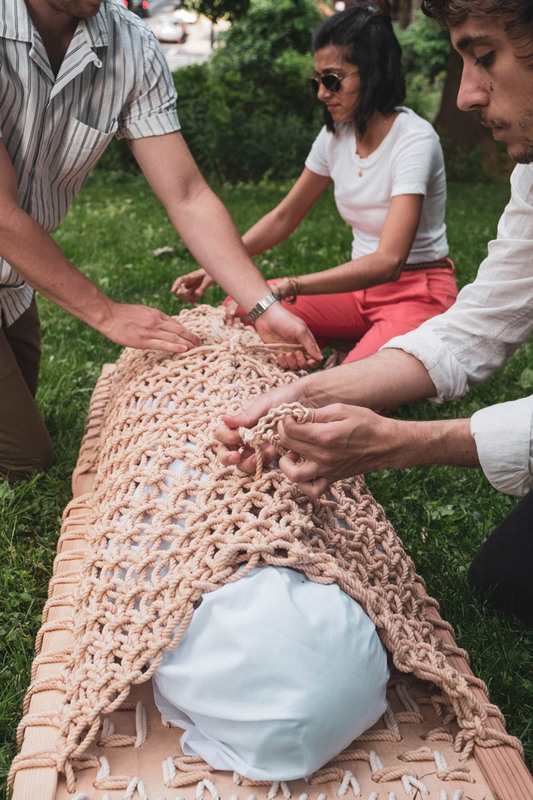 she imagines those mourning the death of someone, coming together to tie the knots necessary to make the coffin, a meditative experience that intends to help with emotional healing. shaina describes herself as an ‘advocate celebrating people and the earth‘, and it’s this relationship that forms the basis of her work. in a powerful description she exposes the reality that at death we are actively disconnected from nature. we choose at all costs to ‘keep ourselves in a domestic dream‘ and in the process, our consideration for the planet is nil. the natural resources it takes to make coffins, the toxins that are emitted into the air during cremation, and the chemicals seeping out of graveyards because of embalming, are all cause to believe that our attitudes towards death and the planet we live on are wrong.